To show someone how much you love them is one of the nicest things you can do, but sometimes it's hard to express your love with your own words. And you might not be a big fan of flowers and chocolate, instead you want to come up with something new and more personal. 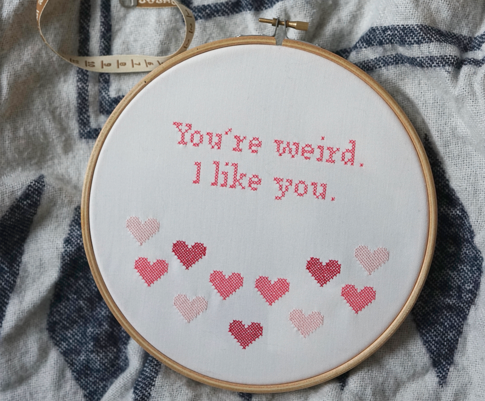 Combining embroidery with love and winding down sounds like one of the worlds best combos, right? Your nice gesture for someone else also becomes a nice gesture for yourself. 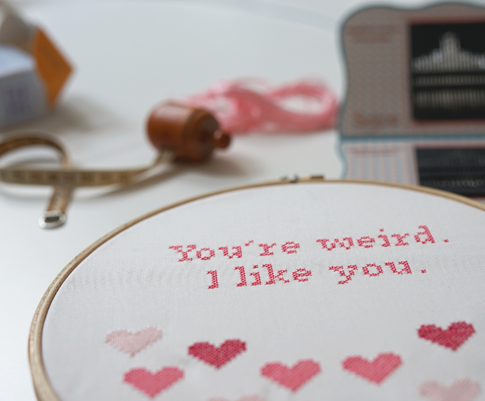 Bring out your embroidery kit, put on your favorite song and wind down for a while. This will definately be a gift made from love.